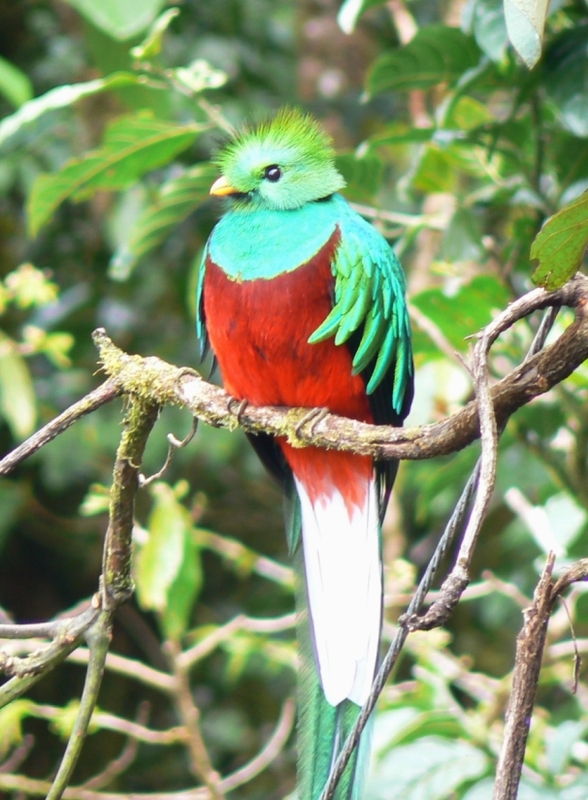 The gorgeous quetzal is considered as world’s most eye pleasing and alluring bird. They are natives of Central America and consume fruits, insects, lizards, and other small life forms for living. Unluckily, they quite enda threatened in Guatemala and elsewhere. 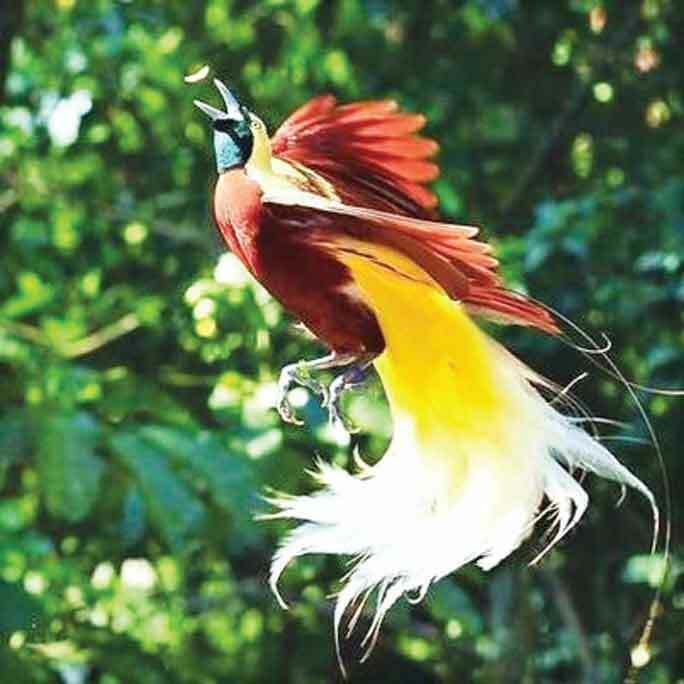 The Birds of Paradise belong to the family of Paradisaeidae of the order Passeriformes. Fortunately, they are not rare in sight and can be majorly found in island of New Guinea and its satellites. Some species are found in Moluccas and eastern Australia. As their main dwelling places are remote dense forest areas, the most convenient way to witness them is through video recordings. Since they binge on mainly fishes, their massive and giant bills act as their preying tool, using it, they catch them and end the game with a delicious feast. They also include crabs, insects, frogs, mice, lizards, and birds, and also their eggs. 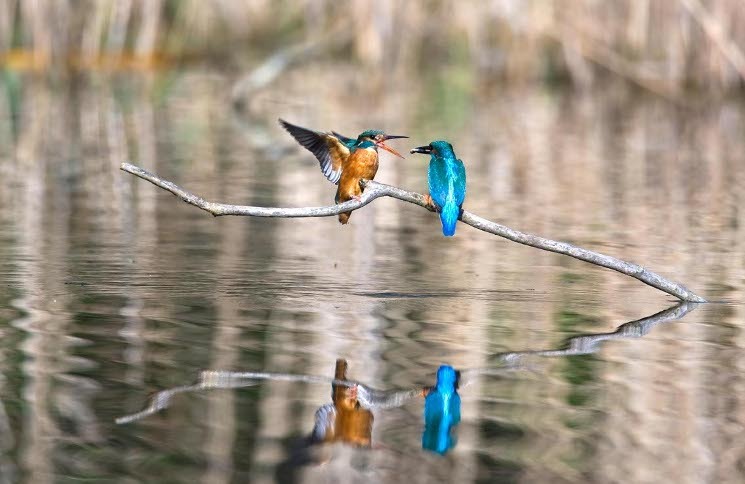 Their hunting areas are usually freshwater. They are very rarely seen in crowded urban areas. The Grey Crowned Crane (Balearica regulorum) belongs to the crane family Gruidae. This bird of Africa can be spotted in most wetted areas, garms and fields since they nest there. Althogh they are inhibitants of African savannah. They always remain natives and do not migrate much. There are two subspecies. The East African B. r. gibbericeps is the national bird of eastern Democratic Republic of the Congo. It has a larger area of bare red facial skin above the white patch than the smaller nominate species, B. r. regulorum which breeds from Angola down to South Africa. The Lear’s Macaw, also called as the Indigo Macaw, is a giant, all blue Brazilian parrot that is a member of a large group of Neotropical parrots known as macaws. It was first found by Charles Lucien Bonaparte in 1856. It displays a beautiful combination of metallic blue with a very faint, tint of green, and a yellow patch of skin at the base of the thick, black bill. This macaw is very rare in sight and less in quantity. The Atlantic Puffin is a beautiful seabird specie from auk family . It feeds on sea fishes and some other sea creatures like squid and crustaceans. Its most prominently attractive characteristic during the breeding season is its brightly colored bill. Because of its beautiful rainbow bill, it has got names like “clown of the ocean” and “sea rooster.” The Atlantic Puffin is the provincial bird for the Canadian province of Newfoundland and Labrador.